The house offers a lounge with kitchen on the ground floor and two bedrooms (1 large double bed and a single bed) and a shower room on the first floor. The exterior has a grassy space, table, chairs and umbrella. Next to the house there is room to park. The people of Lira have basic services like a couple of shops, pharmacy and 3 restaurants. Beaches: Lira has its own beach and is a 10 min walk from the house. A part is the tiny beach Ximprón that offers more privacy. A 4 km beach Carnota begins which extends over 8 km and offers a very special swimming area called "Boca do Rio '. Muros toward 3 km there is the beach and 4 km Lariño the Area Maior with a protected lagoon and dune complex. The waves, slope and aspect to the wind in beaches are diverse and offer everything from calm waters for children 2 m waves for surfers. We really enjoyed our stay here. 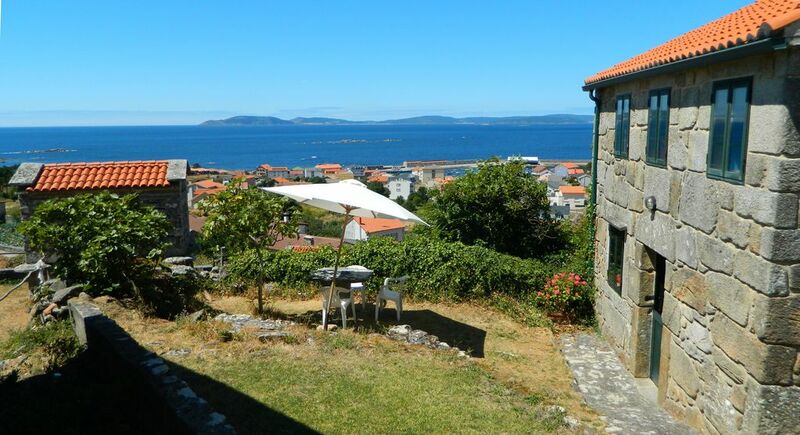 Lira is in a lovely part of Galicia and the property is short walk from a lovely, clean family beach. The house was a good size for the three of us and had some nice outside space so you could enjoy the view that this hilltop house had to offer. Only downside was the kitchen wasn’t as well stocked as we are used to. Schmuckes Häuschen mit top Aussicht. Der 7-Kilometer lange Strand in der Nähe lädt ein zu traumhaften lange Spaziergänge. Vielen Dank für Ihren Aufenthalt in Lira. The house is situated on a hill that seems to have been a fort. He is currently part of Lira called Os Miñarzos. The house has a small outdoor space with grass, table and chairs with stunning views of Cape Finisterre. The port of Lira is 2 km. Beach 1km. Other Activities: Hiking fishing boat.